Global average connection speeds have hit a new high, rising 29 percent year-over-year to 3.6 Mbps. Meanwhile, the demands of the mobile world are growing very fast, with data traffic increasing by 80 percent in the last year. 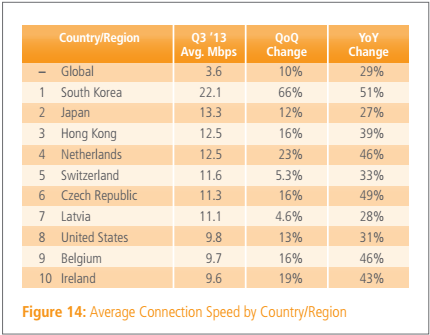 The latest figures come from Akamai, which today published its quarterly State of the Internet report for Q3 2013. The firm listed 122 countries/regions as experiencing an increase in average connection speeds year-over-year, ranging from 0.5 percent in Namibia (to 1.1 Mbps) to a 76 percent increase in Nepal (to 3.6 Mbps). Only 18 of those saw their average connection speeds decrease quarter-over-quarter, with losses ranging from 0.4 percent in Bahrain (to 2.2 Mbps) to a drop of 19 percent in El Salvador (to 1.9 Mbps). Global broadband adoption, which Akamai rates as speeds of 4Mbps and up, increased 5.8 percent last quarter to reach 53 percent penetration. Global high broadband, rated as 10 Mbps and up, reached 19 percent penetration after a 19 percent increase over the previous quarter. 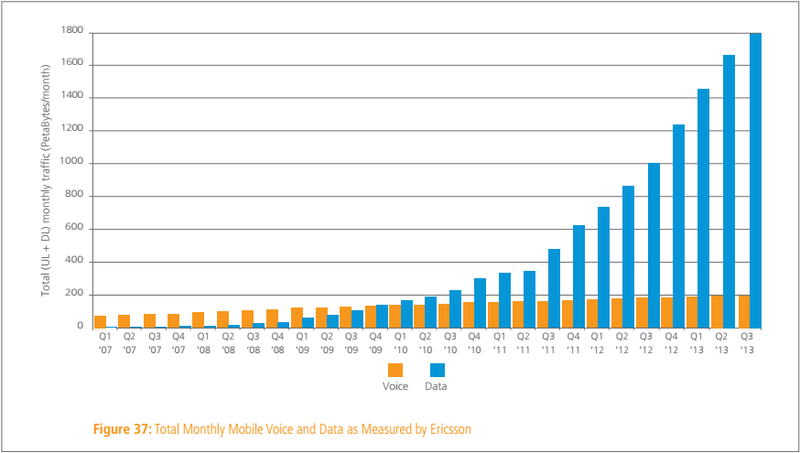 It’s worth noting mobile voice traffic shows quite a flat progression. Unfortunately, Akamai doesn’t provide a further breakdown of activity such as streaming and Web browsing. 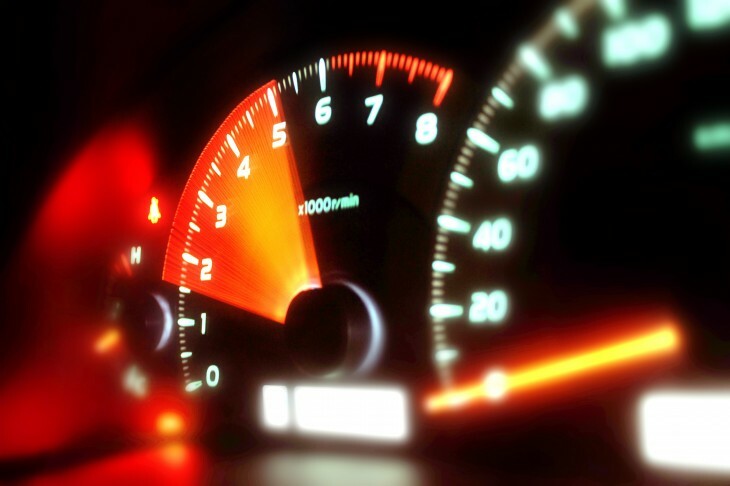 In Q3 2013, average connection speeds on surveyed mobile network operators ranged from a low of 0.6 Mbps to a high of 9.5 Mbps. Only 18 operators demonstrated average connection speeds in the aforementioned broadband category. Also this quarter, Akamai released a State of the Internet app for iOS; you can download it now directly from Apple’s App Store. The tool provides easy access to interactive State of the Internet data such as unique IP addresses, attack volume, connection speeds, and broadband adoption.